The world of medical science has seen an enormous amount of development aimed at saving the lives of countless individuals. Medical devices, which can be a hardware or a software used in treating human beings or in diagnosis of diseases, causes a drastic improvement towards the quality of life and treatment for patients. Surgically implanted devices such as artificial pacemaker, cochlear implants, drug-elating stents or implantable pills, etc., are exhibiting much higher success rate and need thus, posing a significant effect on patient safety and risk management in medical business. However, without a system in place which warrants proper safety and quality procedures during the production the same devices can pose a threat to human health. Therefore, a quality management system is critical to ensure that the medical devices will be manufactured to specifications for safe intended use every time. 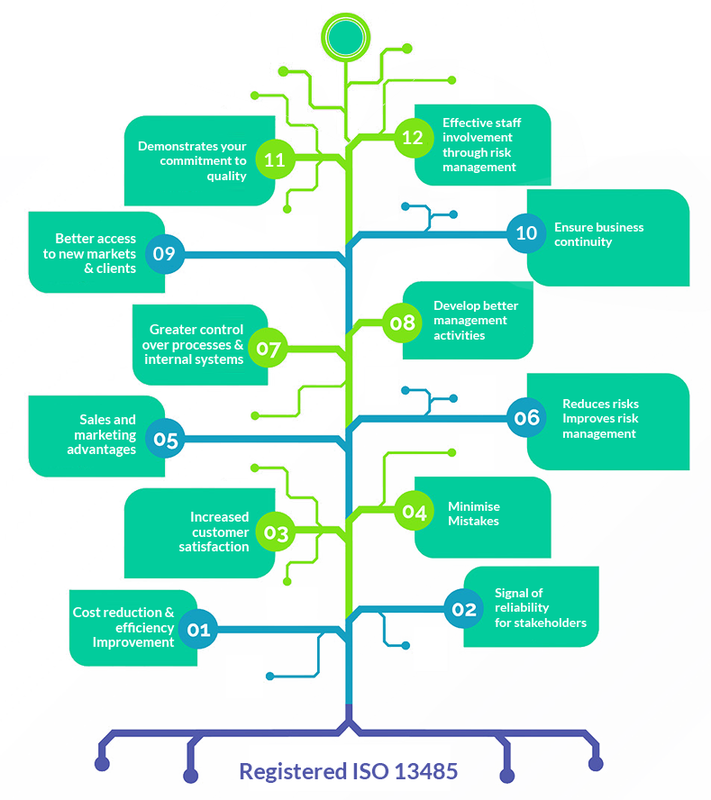 For these very reasons, most national regulatory schemes require manufacturers and suppliers of medical devices to establish an internal quality management system that has been independently audited and verified. Organizations whose QMS hasn’t been verified usually end up being legally denied thereby, loosing revenue opportunities. The primary goal of drafting ISO 13485: 1996 was to harmonize medical device regulatory requirements and some requirements of ISO 9001 that were deemed not appropriate as regulatory requirements for quality management systems. The standard does not provide a direct solution to design quality. 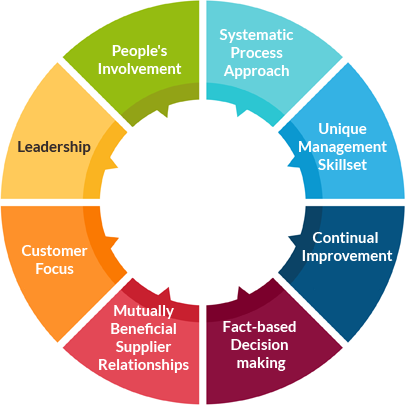 However, it helps to create a framework which enables the use of various solution models depending on the one hand on manufacturer’s size, the complexity of the products and the potential risks and on the other the quality targets set by manufacturers themselves with regard to both their own operations and the devices.It is a stand-alone QMS standard, derived from the internationally recognized and accepted ISO 9000 quality management standard series which is accepted as the basis for CE marking medical devices under European Directives. 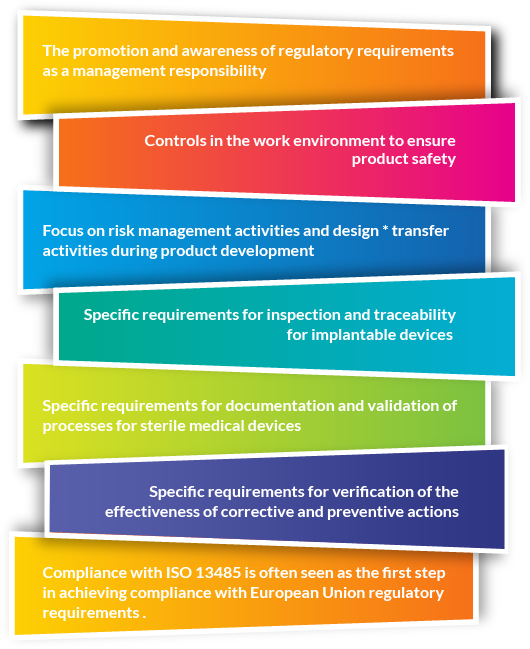 Why is ISO 13485 Important? For an organization to mark its business at a global scale, it is necessary to encounter the legislative regulations and customer requirements both in means of manufacturing and sales front. Such regulations vary from region to region and country to country and it is a must for the organization to address a complex array of quality, process, and management issues which would indeed be confusing. Therefore, an internationally recognized standard for quality management system, specifically ISO 13485 for Medical Devices has been formulated to which every medical device manufacturer should abide to prove the regulatory bodies that their productsare manufactured under a certified quality management system for safe intended use every time. ISO 13485 is applicable to organizations that manufacture private label medical devices, in vitro diagnostic medical devices and medical components. It is the best internationally-accepted model a medical device organization can implement to help demonstrate compliance to laws and regulations of the medical device industry. 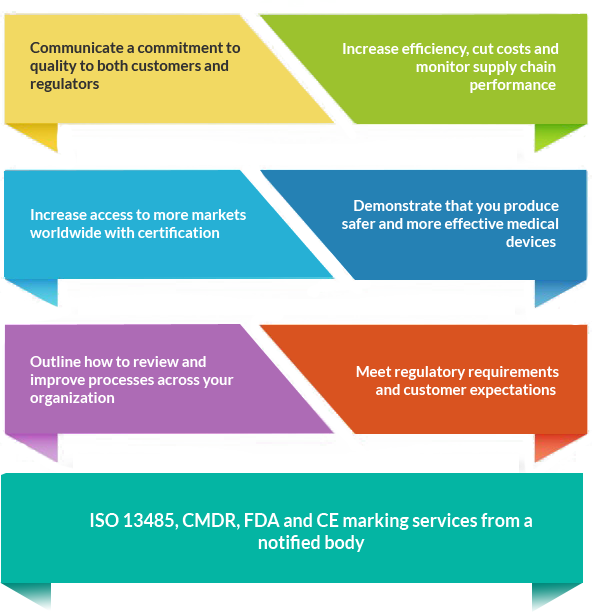 Nowadays, many organizations are utilizing ISO 13485: 2016 as a platform to build their business management systems which is the key to secure and maintain global business, to become more cost-effective and improve efficiency and internal communication. Adopting ISO 13485 provides a practical foundation for manufacturers to address the Medical Device Directives, regulations and responsibilities to calculate, analyze and mitigate vulnerable risks associated with products. 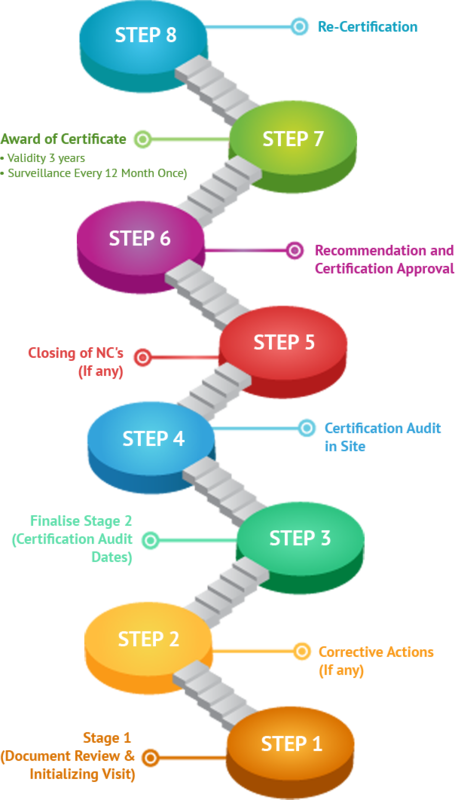 Certification to ISO 13485 is not only used by medical device manufacturers as the foundation to their management system, it is also used by non-medical device companies in order to gain new business opportunities within the medical device community. 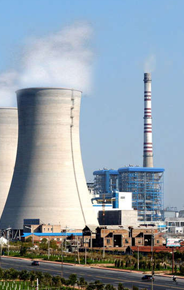 When you choose TRAIBCERT, you’re choosing more than just a rectifier with an outstanding international reputation with our excellent team of Auditors possessing an excellent background in the medical device or IVD industry, mostly in R&D and/or manufacturing. With TRAIBCERT, your company may customize their certification needs, your company may seek ISO 13485 certification, or you may choose to certify your integrated management system. You’re allocated your own Marketing Manager. We’re a full service provider. We offer a fixed programmer for Transfer of Certification. The International Organization for Standardization (ISO) began drafting the first version of a non-industry-specific quality system standard known as ISO 9001 in the mid 1980s.However, when ISO 9001 was revised in 2000, where all ISO standards are reviewed every five years, the International Organization for Standardization began to draft a new standard to replace ISO 13485: 1996 that would align with the revised ISO 9001: 2000 standard. In 2016, the new ISO 13485 standard was approved as a stand-alone standard, that allows medical device manufacturers to develop quality systems that are more consistent with the purpose of medical devices than ISO 9001. The main goal is to provide a harmonized model for quality management system requirements in the international market since different countries might have different standards. While it remains a standalone document, ISO 13485 is generally harmonized with ISO 9001. The 2016 version requires a lot more emphasis on risk management and embedding risk management into the quality system processes. There is also a increased expectation for documentation. The revisions are so comprehensive that it may be a challenge for a manufacturer to continue to maintain registrations to both ISO 9001 and ISO 13485. Why traibcert for your ISO 13485 certification? TRAIBCERT, an Accredited Body for Management System Certification as per the ISO 9001 and ISO 13485 standards, is the eligible partner to comply with the guarantees required by the market. The TRAIBCERT Certification mark is a symbol of your organization’s ongoing commitment to excellence, sustainability, and reliability. Our deep knowledge into the characteristics of the companies in this field, we offer the Organizations an integrated procedure for system and product Certification that will optimize the intervention times and the use of resources. We are proud to deliver our extensive, global experience in the medical industry, both in management systems certification and in product safety testing and certification. However, we at TRAIBCERT have no preconceived ideas on how you should apply quality management to your business.
. 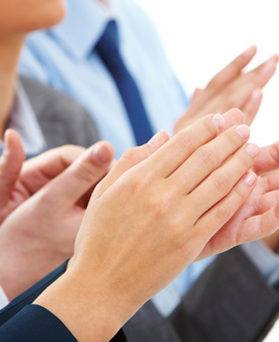 It is your company, and you know the best way to apply the requirements of the appropriate standard. 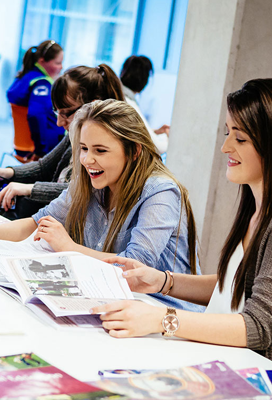 Our role is to assess whether your management system does in fact comply with the relevant standard regardless of how you have done it! Once our highly competent & qualified auditors who are experts in the sector, identifies that yousatisfy the requirements of ISO 13485, we TRAIBCERT a leading accredited certification body will Issue the ISO 13485 certificate.